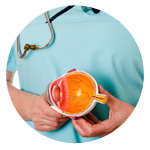 Our skilled ophthalmologists, optometrists and opticians work as a team to maintain your healthy sight. 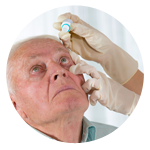 Comprehensive care applying the most advanced methods of diagnosis and treatment for eye conditions and disorders. Since we focus on total eye care, all of our Western New York offices feature full-service, fully-staffed optical shops. Top Doctors in Buffalo and Niagara Falls! Welcome to our new Williamsville location! Our focus is on care. 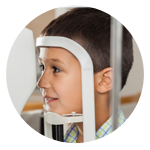 We offer our patients eye care through state-of-the-art technology, experienced, board-certified ophthalmologists, surgeons and optometrists, and our dedicated and caring staff. 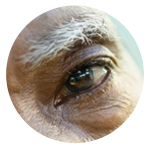 The Mission of the physicians and staff of Eye Care & Vision Associates is to deliver the highest quality eye care resulting in the best quality outcomes. Our entire team of professionals is focused on a single mission: to care for you as a person as well as a patient. To demonstrate how we differ from other eyecare providers and why we should be the office of choice to patients of all ages. To provide our expertise to medical and surgical patients in a timely manner. To provide professional medical, surgical and optical services in the most efficient, cost-effective and technologically-advanced office environment. To be geographically diverse so we are available to the broad area of Western New York. To offer the most modern and progressive surgical services and techniques. Above all, we desire to practice with the patient as the center of attention in a positive work environment. Patient Service: To deliver one-on-one time with your physician/surgeon and post-surgical visits with your surgeon. To keep your wait time for services at any of our offices as short as possible. Customer Service: To greet you with a smile and make you feel welcome in our practice. 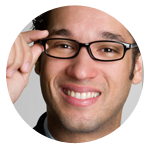 To demonstrate our appreciation for selecting ECVA for your eyecare needs and show you the respect you deserve. Productivity: To communicate actively within our practice to better coordinate your eyecare. Effectiveness: To take the time to thoroughly understand your needs, answer your questions completely and do things correctly with your eyecare. Efficiency: To use our resources efficiently to care for you correctly the first time. Safety: To do no harm to you or ourselves.